Individuals who wish to become Lyft drivers in Florida have to be able to meet a prescribed list of requirements, which include holding a Florida driver’s license and vehicle registration, as well as Florida vehicle insurance. In Boynton Beach and the rest of South Florida a driver also needs their vehicle to be the model year 2007 or newer, and the car “needs to have four external door handles and at least five total seat belts” (per Lyft’s Web site). Beyond that, a prospective Lyft driver also needs to pass a national and regional background check. Driving with a suspended or revoked license within the past three years. A misdemeanor for sexual battery (or other violent offense). Reckless driving or fleeing/eluding the police. Moreover, there is “no tolerance” for future infractions, and existing Lyft drivers must undergo a new background check every three years. Of course, it’s not a perfect world and despite good intentions, a horror story emerges from time to time. For instance, a Lyft driver recently made headlines after reportedly fleeing the scene of an accident that he allegedly caused, leaving his injured passenger on the side of the road. It’s in these rare cases—like when a motor vehicle accident occurs—that a Boynton Beach Lyft accident lawyer should be one of your first calls. Calling emergency responders and making sure a police report is created. Getting medical treatment, if necessary, keeping in mind that injuries aren’t always immediately apparent in the wake of a crash. Taking photographs of the accident scene, as well as damage to the involved vehicles. Exchanging personal information—including insurance information—with the involved parties. Obtaining the contact information of witnesses, if at all possible. Last but not least, call a Boynton Beach personal injury lawyer. He or she can advise you of your legal rights and help you to pursue a claim against negligent parties. As for the common causes of Lyft accidents, they are much the same as regular boynton beach auto accidents. And while ridesharing companies like Lyft are credited, at least in part, with reducing the number of DUI arrests and drunk driving accidents on South Florida roads, it’s very possible that they are contributing to the increase in the number of distracted driving accidents, as Lyft drivers typically interact with the platform and their GPS while providing rides. Lyft drivers are also not unlike commercial truck drivers in the sense that their compensation is directly tied to how much they drive. As such, Left drivers may be tempted to tailgate, speed, and otherwise drive aggressively. They also may spend a lot of hours driving—and many drive in addition to working a full-time job, or even multiple jobs—so fatigued driving is an endemic problem. Finally, Lyft drivers tend to put a lot of mileage on their cars, so inadequate vehicle maintenance can also be an issue. Finally, if you’re involved in an accident with a Lyft driver you may not know it. To be sure, you’ll be aware of the driver’s status if you’ve commissioned the ride using the Lyft app. But if your car is hit by another car, you may not be sure whether they are transporting a Lyft passenger or on the platform at the time of the accident. That’s all the more reason to consult with—and retain—a Boynton Beach Lyft accidents lawyer, as the law that covers ridesharing crashes is more complex than that which governs ordinary car accidents. That added experience may be invaluable if it turns out a Lyft driver was involved and negligent. So if you’ve been in an auto accident and feel you’re not being appropriately compensated for your injuries or property damage, contact our office right away. Don’t worry if English isn’t your first language (or the first language of members of your family). 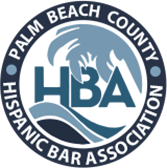 Most of the attorneys and staff at our law firm are bilingual, and we are well-respected in the local Hispanic community, thanks in part to our long history of public service. 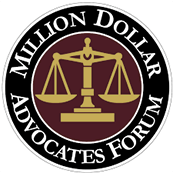 Most importantly, perhaps, our attorneys have a well-deserved reputation for successfully obtaining full and fair compensation for accident victims. Schedule A Free Consultation with Gonzalez & Cartwright, P.A. In other good news, it’s free to talk to an experienced Boynton Beach Lyft accidents lawyer. Simply call us or fill out this online form, to schedule an appointment. Our main office is conveniently located in downtown Lake Worth, but our South Florida personal injury lawyers are also available to travel and meet with potential clients at the hospital or in their own home. FAQ: Can I file a personal injury lawsuit if I’ve been injured by a negligent Lyft driver? Yes, that is frequently an option, particularly if you have suffered serious or life-changing injuries. While Florida is a “no-fault” state in the sense that drivers and passengers involved in auto accidents must seek compensation from their own insurance companies first, a personal injury lawsuit is frequently appropriate and the best course of action. FAQ: What kind of damages can I potentially receive compensation for if I file a personal injury lawsuit? Every case is different but it’s typically possible to collect compensatory damages for both monetary and non-monetary losses, the latter of which can be more difficult to quantify. Damages commonly include: property damage, present (and future) medical expenses, present (and future) lost income, pain & suffering and loss of consortium.